1). Measures: 4.1" x 3.3" x 0.1". 2). 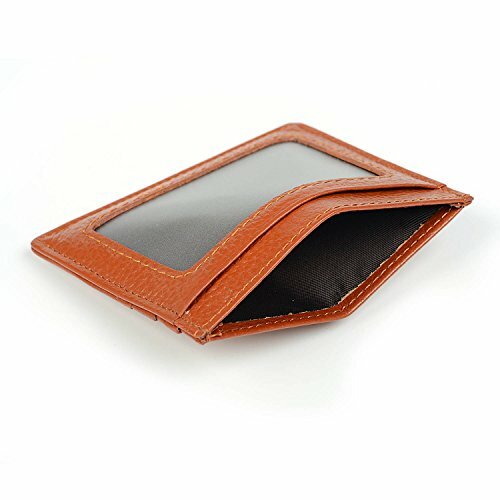 RFID Blocking Front Pocket Wallet. 3). Ultra slim design - 3 Credit Card Slots, 1 ID Window, and 1 Currency Pouch. 4). 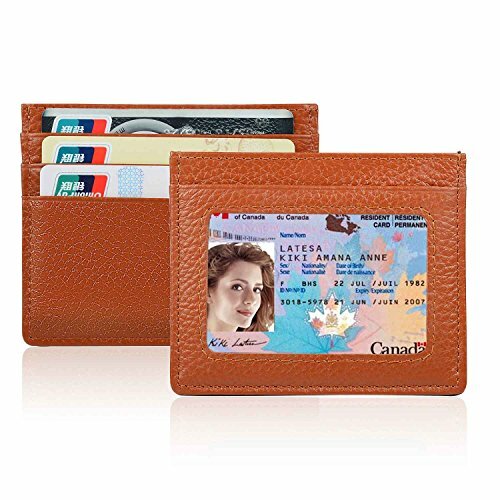 Allows faster, easier front pocket access to your cards/cash/driver's license. 5). Prevent electronic pick pocketing, protect your identity. It is time to SLIM your everyday wallet. 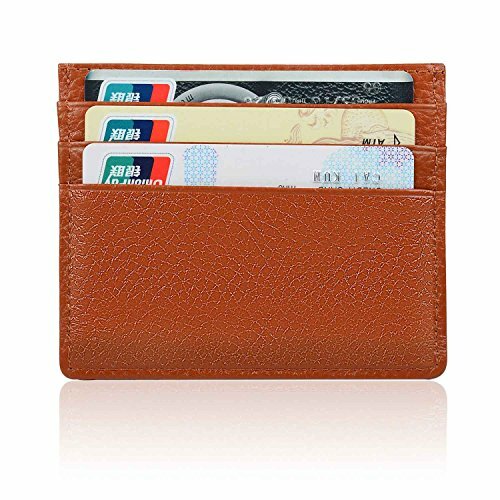 Are you fed up with the bulging wallet? It's probably not your fault before your meet our super thin card case wallet. 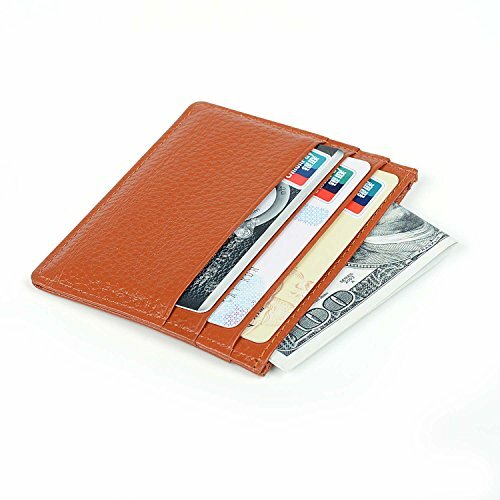 Now it is time to slim your wallet, we are offering you a wallet that is practical, durable, and also, affordable. 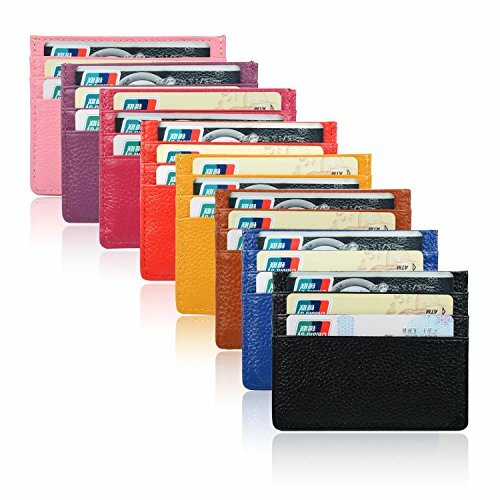 This slim card sleeve is designed to carry some most frequently used credit cards, folded cash, IDs or driver license. PLEASE KINDLY NOTE that this credit card wallet has 2 versions, one is WITH Magnet Clip , and the other version is WITHOUT Magnet Clip. 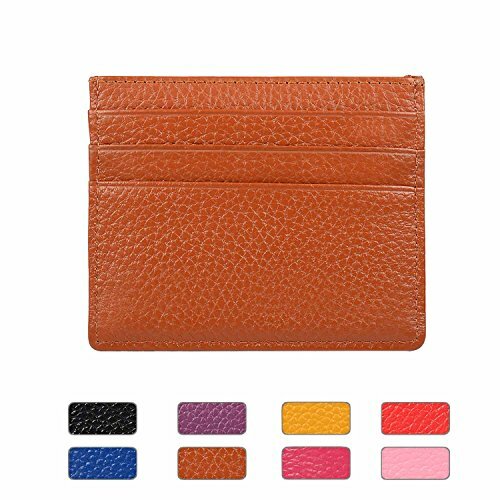 please visit our store and we have a series of slim wallets available for your choice.